We should not be reluctant or embarrassed to talk about giving. Jesus’ teaching included a lot about this important subject and He said “It is more blessed to give than to receive” Acts Ch 20 v 35. We give out of a spirit of thanksgiving to God for all His provision for us in meeting our daily needs. Most of all we are full of thanks for God’s gift of Jesus, His Son who gave His life for our salvation – see John Ch 3 v16. Alternatively you could download and complete our Standing Order Form and send it to your bank to implement. For those who are UK taxpayers you can enhance your giving by 25% by using the Gift Aid Scheme. This can de done by downloading our Gift Aid Form. Many people like to remember their parish church in their wills. Unless otherwise instructed we use legacies to maintain or improve the church building, the oldest building in Otley. In 2015/16 significant building works were undertaken and legacies were part of the funding for that project. There are generally two ways in which this can be done. You can choose to leave a specific sum or a proportion of your estate. 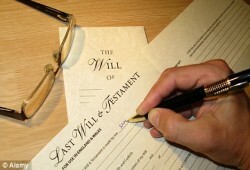 Even if you have already made a will a simple adtitional document called a codicil can be added enabling you to leave a legacy to the church. 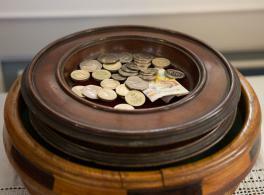 Should you wish to consider giving in this way, we would advise that you consult a solicitor. They would contact the church for the appropriate wording.